This was the most popular car in the world America, in the 1970s. Even after they got neutered. This is the third best version. The ’77 is better because the grill is less “hey look at my heavy-handed family resemblance to a Delta 88.” Also, my sister had one, and it was sweet. The ’73 was better because the bumpers were less onerous, the ginormous 455 made more power. And also JackDova and the Minotaur. This is the 1986 Toronado. It should instead have been the 1987 or 1989 Mercury Cougar. Stay with me here. The Cougar started with covered lights. Change the logo and (maybe) reorient the linear pattern to vertical. Or not. No, you’re NOT seeing double. This is just a taste of the duplication this year. We lost track of how many orange 1970 Boss 302 Mustangs were there for the taking. It’s not just a Russo and Steele thing. Want a 1957 Pace car? …your father’s Olsdmobile, if your father is Ken Schoeb. Ken is a guy one of our shooters met at the [crappy radio station] car show in Glendale today. This is Ken’s car. It was the only one like it at the show. Match that with ’55-57 Chevys or Tbirds. Ken is an army vet, if I heard correctly. 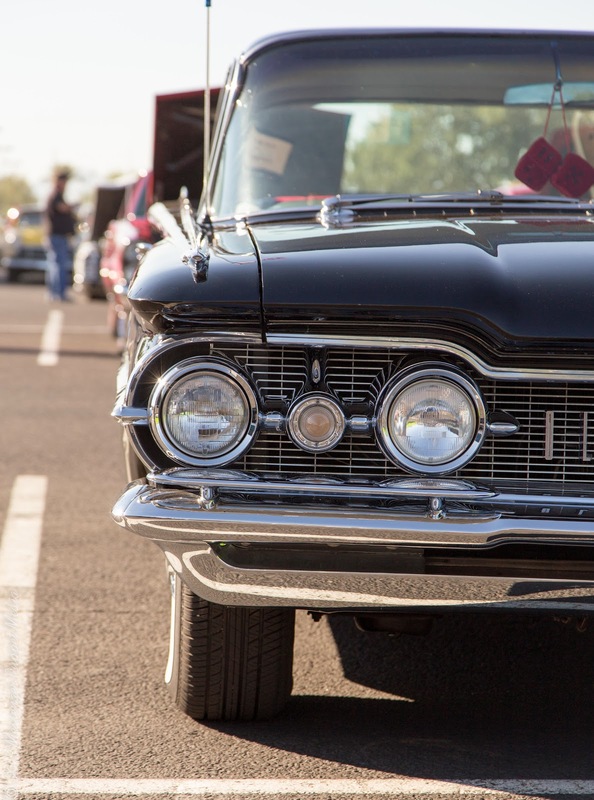 He seemed to be as well preserved as his 1959 Oldsmobile 98. What could have been. In 1988, I needed a car. 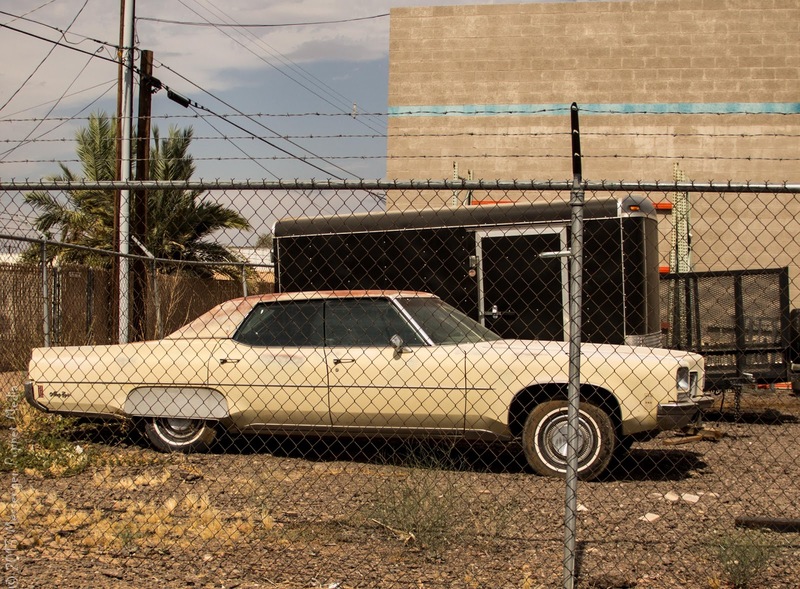 My uncle had plenty of cars – a 71 or 72 Olds 98. a Chrysler Newport, and a 72 LeMans were all sitting in the back yard, waiting to be used/rescued.